Courts, publishers, educators and professional offence mongers are to blame. Liberal India is being silenced because its joy at exposing hypocrisy is far greater than its commitment to defending freedom. Yet another book withdrawn and pulped by the publisher under pressure. 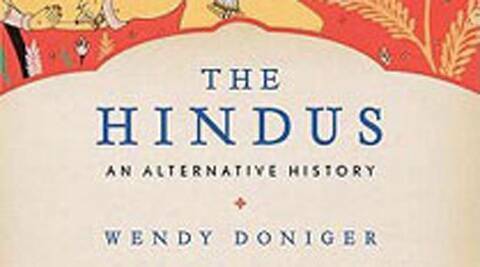 The “pulping” of Wendy Doniger’s book, The Hindus: An Alternative History, is the pulping of liberal India. The agreement by the publisher to withdraw it is like putting a contract out on free expression. In India you publish at your peril. It is in a shockingly long line of books and art withdrawn from free circulation one way or the other, sometimes against the law, sometimes in the garb of law. India is a democracy, but its reputation as a bastion of liberal values is dimming by the day. The argumentative Indian is being replaced by the offended Indian, the tolerant Indian by the intolerant mob, the reflective citizen by the hurt communal mobiliser, the courageous Indian by the cowardly thug who needs the state to protect it against every argument, the pious Indian by the ultimate blasphemer who thinks he needs to protect the gods rather than the gods being there to protect him. Whether this is a tiny minority or represents the majority is beside the point. The point is that the assault on free expression is winning. How is liberal India being silenced? Liberal India is being silenced because its joy at exposing hypocrisy is far greater than its commitment to defending freedom. Every time a book is under assault, the same tiresome argument breaks out. “Oh, you did not speak when so and so was banned. You did not speak when Taslima Nasreen was the target, or when Jitender Bhargava was ordered to withdraw his book on Air India.” Or there is the partisan division: you did not object to what the Congress did to Salman Rushdie, or the CPM in West Bengal. The point is that we spend all our psychic energies in exposing each other, not in defending values. If freedom is to survive, we have to set aside this debate on hypocrisy. It devours all energy. But it also legitimises the disposition that is at the heart of banning books: a fragile ego that takes joy in revenge, rather than taking pride in freedom. Let us get on with the task of defending the core values. Liberal India has been silenced because it never understood that toleration does not, to use Govind Ranade’s phrase, come in halves. You cannot pick and choose when to be tolerant. You cannot choose to be tolerant along partisan lines. Neither can you choose to be tolerant based on what you think are distinctions between good and bad scholarship, serious and scurrilous books. These distinctions are a good basis for criticism; they are not the best basis for deciding whom the law will protect. And R.V. Bhasin, author of a banned book on Islam, will be protected as much as Wendy Doniger. And so it should be. If you want a hundred flowers to bloom, a few weeds will grow as well. Liberal India has been silenced because the one institution that needs to protect it constantly fails: the courts. Civil society and politics have a lot to answer for. But the incentives to mobilise around the banning of books have largely been created by the laws and by the convoluted jurisprudence of the courts. A law that signals that it is open to banning books will incite mobilisations to ban books. If the state gives the category of taking easy “offence” such aid and succour, offence will be easily taken. In the case of Doniger’s book, there seems to have been no threat of the book provoking large-scale violence. Despite protest and criticism, the book has been in circulation. But more importantly, the courts have sown the seeds of further confusion. For example, the Bombay High Court judgment on the Bhasin case upheld the idea that it is “no defence that the writing contains a truthful account of past events or is supported by good authority.” Courts uphold the idea that the criticism of religion must only be “academic”, whatever that means. Lampooing is part of legitimate criticism. While banning the novel, Dharamkaarana, they showed no regard for the artistic integrity of the work. Courts should be the bully pulpit of constitutional values. They should draw strong lines protecting freedom. No wonder liberals worry that the court will not rescue them. No wonder the mere threat of litigation is a dampener on free expression. Liberal India has been silenced by professional offence-mongers. Those who now claim to speak on behalf of communities use every trick they can to silence. There is often the threat of violence. The use of law is not, in this instance, an exercise of citizens’ rights. It is the use of law as a tactic of intimidation. Often, these groups have the implicit backing of political parties. No political party in Maharashtra stood up for the rights of scholars. As a result of the James Laine episode, most publishers do not want to even touch books on Shivaji. The BJP’s relationship with groups that initiate these mobilisations has often been one of plausible deniability. It gives aid and succour to vicious offence mongering, it legitimises this contrived narrative of Hindu hurt. All it needs to do to overcome these suspicions is come clean and emphatically state that it does not support the “withdrawal” of books. We do not need political parties that take on the garb of liberalism by avoiding issues; we need political parties that actually defend liberal values. Liberal India has been let down by its publishers. If major presses like Oxford University Press (OUP) and Penguin cave in to the threat of litigation so easily and fail to take matters up to the Supreme Court, it will become easier for people to intimidate. Recall OUP’s conduct in the case of the Calcutta High Court banning a scholarly monograph by Hans Dembowski on the judiciary. Indian business is supine because it feels politically vulnerable at so many different levels. Liberal India has been silenced by its educators. The extraordinary failure of the project of liberal education is manifesting itself in the pathology of liberal institutions. If so many of India’s educated middle classes, which inhabit key institutions like the judiciary, bureaucracy, media, are so confused about basic constitutional values, if they are so content at liberty being abridged, one by one, you have to wonder about liberal education. The fact that universities themselves did not remain exemplars of criticism, that they banished a healthy engagement with tradition has meant that the most ignorant and violent have now become the custodians of tradition. Wendy Doniger could not have damaged Hindus. But if Liberal India dies, Hinduism will die as well.